Piancastagnaio rises on the slopes of the MountAmiata and can be reached following the Cassia road up to the alternative for Abbadia S.Salvatore/VettaAmiata/Piancastagnaio. Since the 11th century the area of southern Tuscany around the castle of Piancastagnaio was the object of the expansionist politics of the powerful feudal family of the Aldobrandeschi. The whole territory is rich in historical remains tied to these potentates. 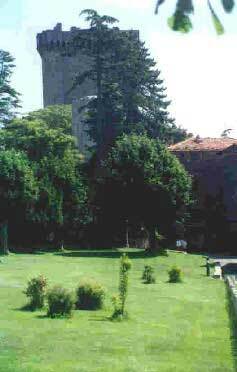 Between the possessions of the Aldobrandeschi, Piancastagnaio was almost always the site of allotted to the noble family from the monks of the abbey of S.Salvatore since the beginning of the year 1000. Subsequently it was claimed from the Viscounts of Campiglia and during the 13th century it became object of ulterior disputes between the cities of Siena and Orvieto. The Orvietani gained control of the powerful fortress in the 1303 and maintained it for around fifty years. At this point they entered in the quarrel with the heirs of the Aldobrandeschi, the Orsini of Pitigliano, to oppose the new aims of the SieneseRepublic. Only between the years 1415 and 1430 Siena finally succeeded to taking possession of Piancastagnaio that was attached to the Capitanato of Radicofani. In 17th century the settlement became a Grand Duke’s fief and finally, with the Leopoldine reforms, the chief town of the same community. The country town has a circular form, once had surrounding wall enclosure with alternating square towers and four gates. The walls and the gates have been almost entirely demolished, with the exception of few lines, but in the highest point of the inhabited area rises still today the mighty Fortress Aldobrandesca. The construction has a square form and is endowed with tall and strongly inclined walls. From the enclosure rises two towers, the greatest, either as thickest, had functions of keep, the other, in the opposite angle, defended the underlying gate of access to the city. The whole complex was endowed with battlement, still today almost intact. The Fortress is under good condition thanks to careful work and restoration will be finished this year.